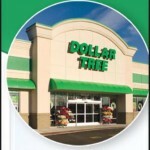 New John Morrell Coupon Means Sausage Only $.50 Each At Dollar Tree! There is a great new $1/2 John Morrell Products coupon available today! 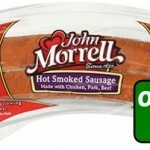 Dollar Tree sells John Morrell Sausage for $1 each regular price, so here's how to get a great deal:Buy 2 John Morrell Sausage $1 each ($2) Use $1/2 John Morrell Products coupon Final Price: 2/$1 ($.50 each)All of my … [Read more...] about New John Morrell Coupon Means Sausage Only $.50 Each At Dollar Tree!